I think I'll print this out - twice: one copy laminated to hang on my fridge, and one foldable copy to carry with me in my handbag. Take a look below and let us know what you think! This infographic was created by Ben Gibson and Patrick Mulligan. I can't wait to get my hands on some of the beers mentioned here that I haven't tried yet, like the Sam Adams Hallertau Imperial Pilsner, Brooklyn's Monster Ale as a barley wine and Fuller's London Porter as an English porter. 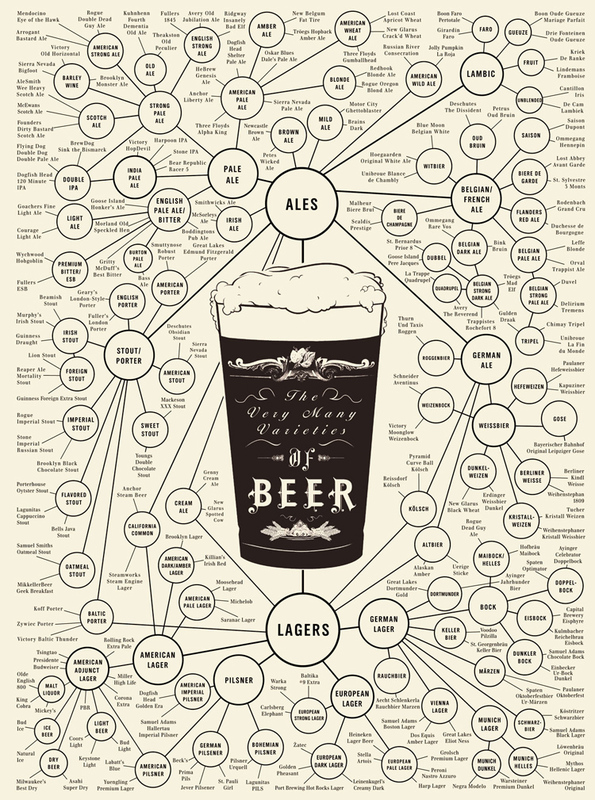 Have you tried the beers from this infographic - what are your thoughts? Are there any that you'd like to add? Please leave your comments below.